The Multi-Wallet is not only a beautifully made Himber wallet, but it also hides a super slick loading system that will allow you to load cards and other small objects into the windowed compartment. Imagine how clean this will make even a simple Card to Wallet routine look. A card is selected, signed and lost back into the deck. You now remove your wallet, show it empty and hand it to your spectators to hold. Even though they have seen quite clearly that the wallet is empty, the card (yes, their actual signed card) can be made to appear inside the wallet at any moment you choose! The Multi-Wallet really does open up some crazy-visual possibilities! 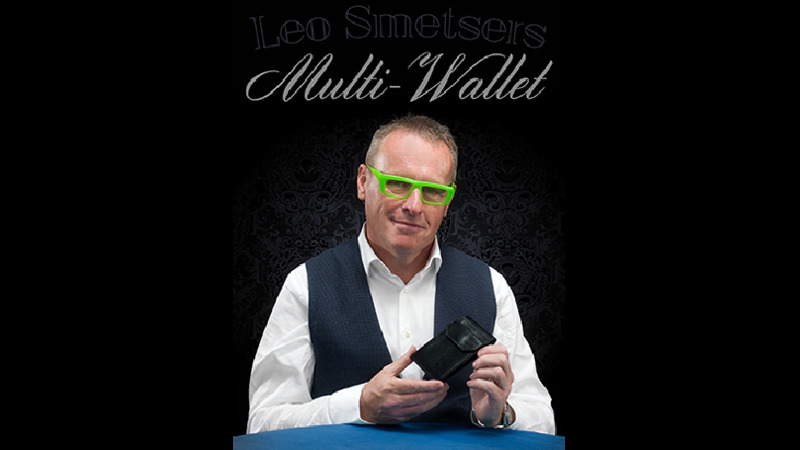 "Leo's new wallet is a killer concept! The ability to load an object into Himber wallet IS A GAME CHANGER! Now you can show your wallet empty before the signed card appears, wow! Cause transpositions between money or credit cards and borrowed objects, etc., wow! The ideas are limitless. Congratulations Leo!"